We had just poured a glass of wine one night last week when a red Jeep drove by our house, Casa Madera. It went a few feet past, turned around and parked at the end of our driveway. There are an awful lot of Jeeps in Mexico but we did not know anybody with one so we thought they were going to the Senora’s house next door. It was then that the gate rattled so I looked over the balcony and there were Mary and Lore. They had dropped by to say Hi. It was nice to see them. We had a great visit as it had been a couple of months since we had talked. December 2008 – We have discovered that regardless of where you live, you will always have laundry! Our condo does not have a washer and dryer nor does it have the space or hookups for them. This means we have to find a place to do our laundry. There are 2 to choose from in the complex. This was new. Heather says she went to Mary’s because she liked the painting of the Smiling washing machine on the front but really it was because the other laundry just never seemed very friendly. Something that Mary had no issues with. The first visit was difficult as Mary spoke virtually no english and we spoke very poor spanish but we managed to get through it. The first load of clothes were returned in fine shape so we continued to take our dirty laundry to her. Well except for the day that Heather thought that maybe we should visit a laundromat that we had noticed about 5 blocks up the street. The laundromat was like any other, lines of washers and dryers, folding tables and a bench out front for sitting on and reading. The problem was there was no real place to park so we either had to walk down with our clothes or take the bus. Now there is lots of fun, riding a bus with a big bag of your sweaty, smelly clothes. We did this twice at 30 pesos per wash and 30 pesos per dry. It was then that we realized that Mary would do it for basically the same price as the laundromat and we only had to drop it off and pick it up. So no more visits to the laundromat. One day Heather came back to the condo announcing that she had made us pedicure appointments with a woman around the corner who was looking for clients. Ok, why not. So off we went. There were two women there, one to work on Heather and one to work on me. The name of the woman who had the lovely pleasure of working on my spectacularly abused feet was Lore. Again conversation for me was virtually non-existent but Heather seemed to be holding her own. This became a twice monthly event for us as it was actually quite nice. It was the second time we were there that the woman who worked on Heather’s feet asked her about learning english. It was decided that we would return tomorrow afternoon and attempt to give them some insight into the english language. The appointed time came and we went to their store to find 3 of them eager to learn. Lore, Mary and the other woman whose name is escaping me. This became a regular event for us. We would get together a couple a times a week to at least try to show them the words and the sentences they needed to attract tourists into their shop. The problem was that the complex had at least 6 shops that did massages, manicures and pedicures. In the economy we were in at the time, there was just not enough tourists to go around. It was getting very difficult for them to eek out a living. The lessons were a major hit. Whether or not we made a difference to their english learning is anybody’s guess but we had fun. The lessons also became the catalyst to friendship. We had been going for pedicures and trying to teach them english for about 3 months when Mary asked us if we wanted to come with them to fiesta for a friends son’s first communion. She was very persuasive and said that her friends would love it if we would come. Okay, we will attend. Heather and I were now in a quandary. This is an important event in a young persons life and we were invited. While we knew Mary and Lore we did not know the hosts nor the child in question. How do we dress? Do we buy him a gift? We eventually settled on giving him a card and some money. But then, how much? He was 8 so we decided to go with 70 pesos. The day arrived and Mary told us to meet them at the laundry at 2:30 and we would take the bus. Heather and I decided that being a religious but festive event we would not wear shorts. This was in June when the temperatures hover around 33 degrees celsius and the humidity makes it feel like 40. Needless to say, it was hot and sticky. 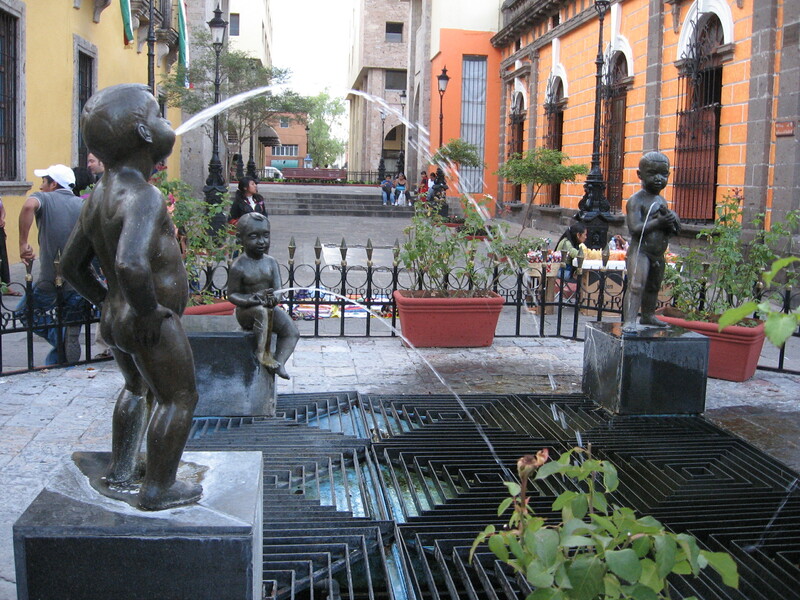 We hopped on the bus and headed into a part of town we had never been in before, Cuoapinole. The road was not in what one would call primo condition but we made it. We were hot and sweaty so we were using what ever we had to try to dry our faces and necks before we met these people. Heather had kleenex in her purse so that was our only choice. We finally arrived at our destination and walked up to the house where the party was already going on. Needless to say Heather and I kind of stood out in the crowd. We were the only white people there. Now that should not be unusual when you live in Mexico but when it happens the first time it kind of unsettles you. Mary introduced us to her friends, Bertha and Carlos and their son, Juan who looked sparkling in his pristine white communion clothes. Mary immediately wanted us to eat. The food today was Pozole. A soup made from pork meat broth with hominy in it. Bertha was dishing it out and I had my choice of meat, pork shoulder, tongue or other parts. I asked for the shoulder and just a little tongue. I took it out to the table outside where there was cilantro, jalapeños, onions, radishes and of course, limes. It was delightful. Full of flavour, wonderfully cooked, it was great. Beer was offered, accepted and more pozole was requested. We were introduced to the people around the table who were gracious and very nice. We met Bertha’s brother who is a monk and spoke english. The day was good but being able to converse with somebody easily was great. We were still sweating and using the kleenex to dry our foreheads and necks when Heather looked at me and said that we must get cloths for this chore as for the last hour I had been wandering around with little bits of kleenex attached to my neck and beard. Nothing like making a good impression on new friends! All in all it was a great day. We made some new friends and had a great time. It was a life lesson for both of us coming from a culture where people are more closely guarded and not as free with their affections, and I was definitely one of those types of people. Mary and Lore did our laundry and now we are proud to count them among our dearest friends. It just goes to show that if you go around within your own little world the rest of it just passes you by. 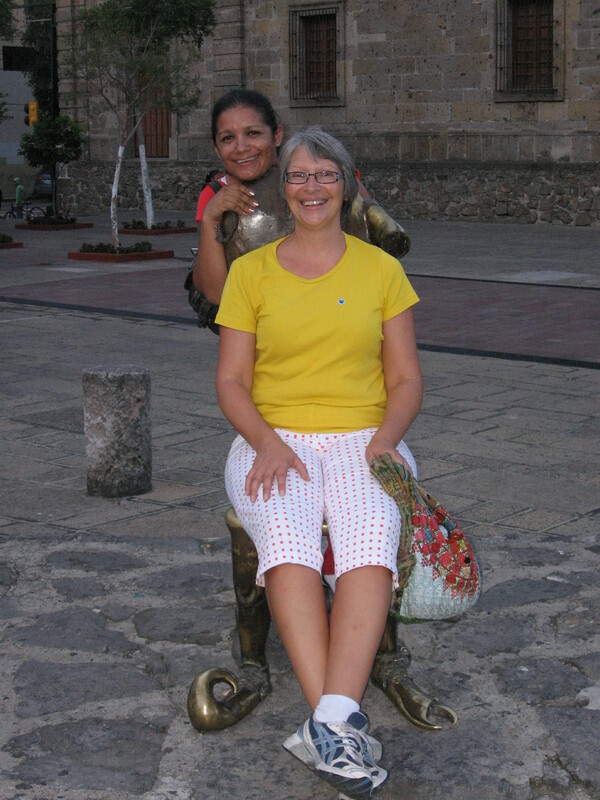 Without meeting Mary & Lore there are so many things we would have never experienced. 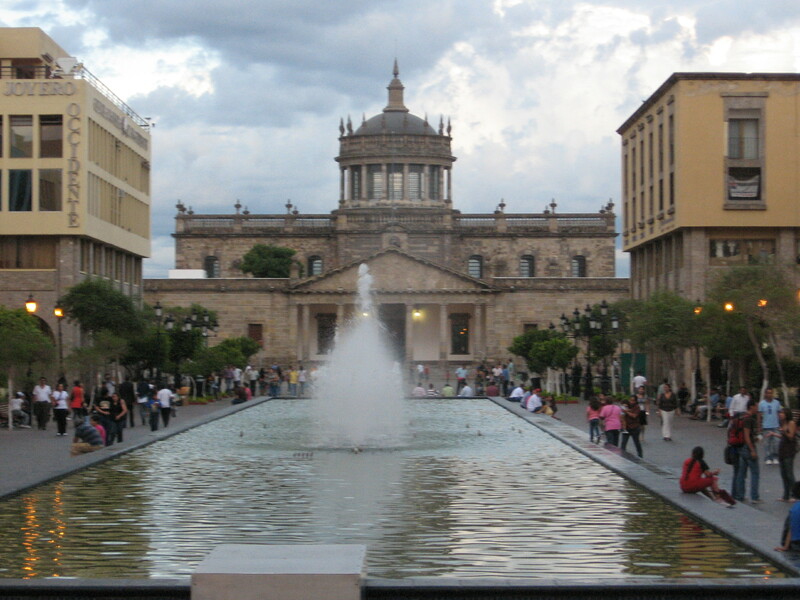 Wait until you hear about the trip to Guadalajara…. Over the last couple of weeks we have been diligently working on improving Casa Madera. When we bought the house, it needed work. A lot of work. But there were reasons we chose this house over the others we looked at and it was while I was painting our bedroom I started to think about some of the houses we looked a couple of years ago. January 2009 – The condo was up for sale and attracting some interest. This meant we should get our butts in gear and find a house that would be suitable for a bed and breakfast. We called our friend and exclusive realtor, William Michael from Vallarta Escapes. He knew what we wanted and set about to see what he could find in a reasonable price range that would meet our needs. It was about a week later that he some houses to show us. So off we went with the typical excitement you have when you are looking for a new house. We were stoked! Well we came down from that pretty fast. Our problem was we were not really sure where we wanted to live. We thought we wanted to live in Puerto Vallarta so that is where the houses that he had for us to see were located. The first house was located back behind Fluvial which is a new district. It was nice house but it was a little far away from all the tourist amenities which was going to be a problem. That and there was just not enough room for a pool which had become a must have for me. Sometimes pool's come in a variety of colours! After the first day of looking Heather and I decided that we needed to make up our mind where we want to live. 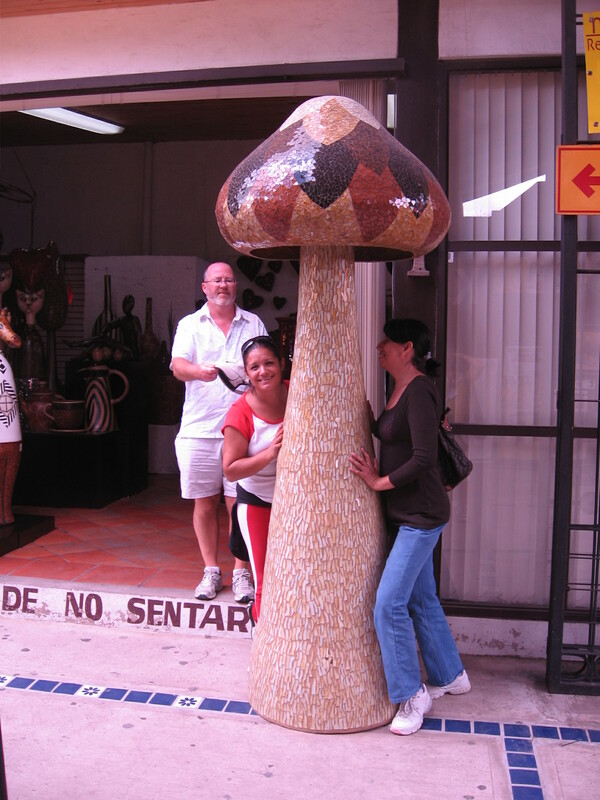 Puerto Vallarta, Bucerias, Nuevo Vallarta, La Cruz de Huanacaxtle, Sayulita? There were many choices so we started driving out to various areas just to try to get a feel for everything that they each had to offer. Bucerias is a nice town. It has all the services you would want and a great beach. Ok, lets look there. La Cruz de Huanacaxtle was small fishing village that had started to grow up with large condo projects and had an interesting feel to it. We thought we could look there too. Nuevo Vallarta was a planned residential tourist community that gave us a Beverly Hills feel when we drove into. We decided that we can look there but we were not sure about it. Sayulita is a great town. To me it had a sixties California feel to it. A surfing beach, great waves that still allow you to swim. It’s drawback was it was on the other side of the mountain. We will think about it but it was just too far out for me. That left us Puerto Vallarta. The reason we moved here. We loved the town. Friendly people, all the services. It is great. After all the discussion between to the two us we told William Michael our preferences. He did his best to come up with something that would meet our needs and make us happy. 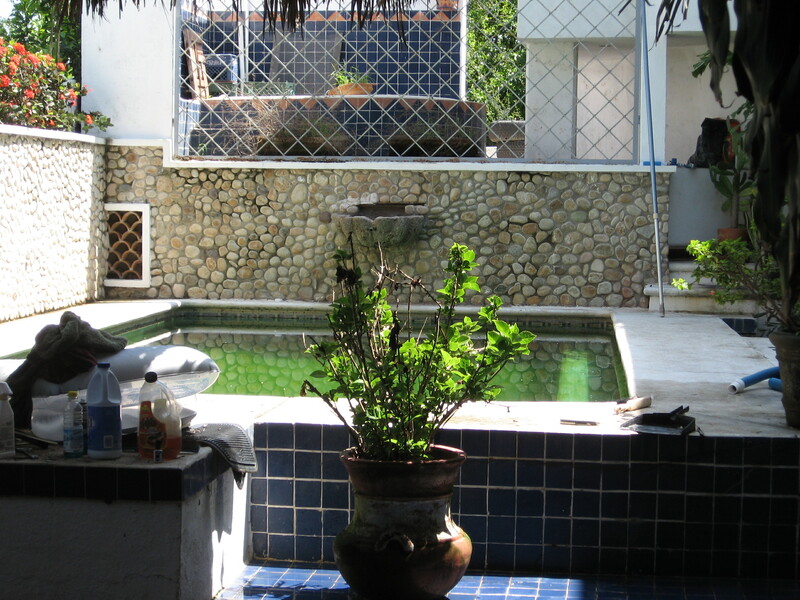 The next house was a 3 storey affair next to the Rio Cuale in Old Town. It was a nice place. Currently being operated as a small hotel and doing reasonably well. The rooms all had some kitchen facilities, they were comfortable and the house had a great view but there was just no room for a pool. We decided to keep it in mind but I really wanted a pool. Shade and sun at the same time! There were many that day, some worth looking at, some not so much. Some out of our price league but fun to look at anyhow. The next day we went out we went to see a house in Bucerias which we quite liked but again there was just no room for a pool. 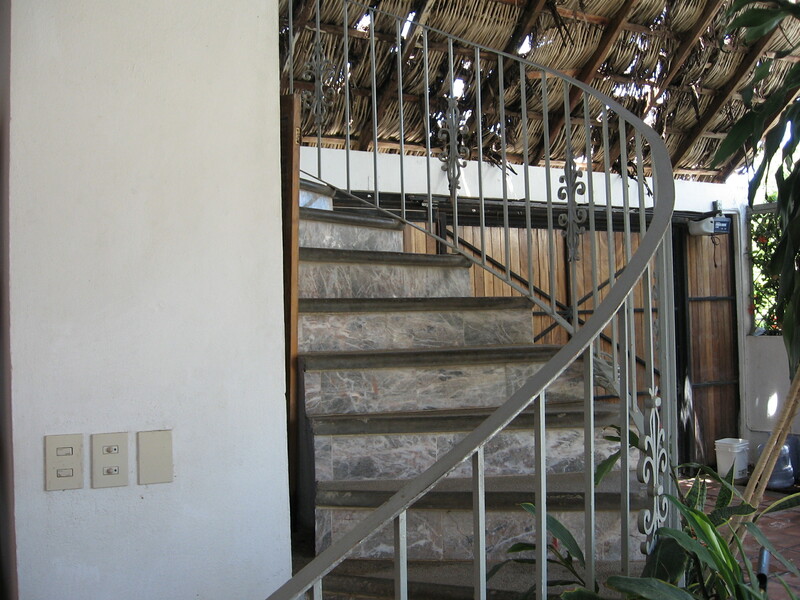 The other thing we found odd about Bucerias is that most of the houses were two bedrooms. At least those were the ones which were for sale. From there we went to La Cruz de Huanacaxtle where there were two houses to see. One was definitely a fixer upper according to William Micheal. We walked into the house which was a one storey and it had the oddest feature. A knee-high rock built into the floor. WTF? No one could tell us why it was there. The house was being lived in at the time. It was not finished. No bedroom doors or jambs, just curtains. They had not sprayed the house for bugs in a while as we were stepping over cockroaches to get into the house. It was when we walked into the kitchen that William Michael calmly told us to step to the right as there was one coming right for us. We both take direction well so we did and watch it stroll on by. From there we went to a house which was actually set up for and being run as a bed and breakfast. It was a nice place but was located across the street from the Sonic Gas propane station which played a whistle and shouted gas every few minutes. We liked the house but not the location. After 3 months of frustration of trying to find a house & setting up a pre-approved mortgage we were getting a little jaded. It was a that point that William Michael reminded us that we had yet to look in Nuevo Vallarta. Ok, let’s go see what Beverly Hills south has to offer. Nice houses, that is what it has to offer. Every house we looked at was gorgeous. Immaculately kept, nice grounds. They were beautiful. Unfortunately they also had a nice price tag to go along with all that great stuff. We were not going to denied though. 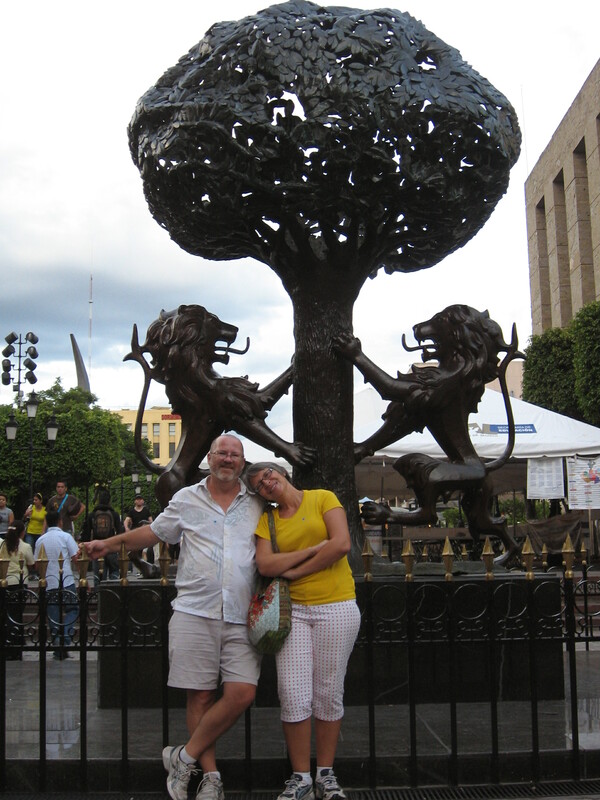 After 5 months in Puerto Vallarta we thought that living out in Nuevo might not be that bad. It will be quiet and it really is not that far out from town. It was then that he took us to what would become Casa Madera. Wow. It was perfect! 3 bedrooms downstairs with their own doors and livable space on the second floor for us. A pool! A nice size pool and a hot tub! Man how could we be so lucky! And at a great price too. However, we were still not sold on Nuevo Vallarta so we did not do anything that day. We did talk about the house a lot though. So we talked to our mortgage broker to make sure it would fit into our budget and he discussed it with the bank. After a few days he came back and said that yes it would work. We let it sit for a while because we were not going to rush into this one. We did once already and were let down. A couple of weeks went by and we decided we needed to look at it again. The second viewing was not as good. We then saw all the warts that the house had. It needed a lot of work. The bedrooms were going to have to be gutted. The palapa over the garage was shot as was the one just outside of the kitchen. 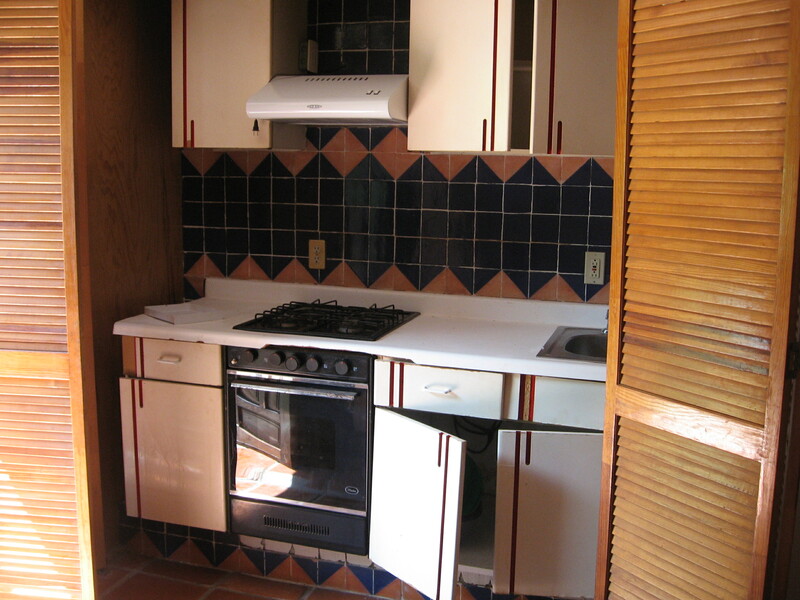 And the kitchen, crap it was awful. Well, now we are going to have to rethink this. I have a screwdriver, we can fix it! Again we discussed and discussed. Can we do the repairs that it needs within a reasonable budget amount. Especially since we are such handy kind of people. Eventually it came down to one thing. It was a perfect house for what we wanted to do. So we jumped with both feet. And then the fun began….. 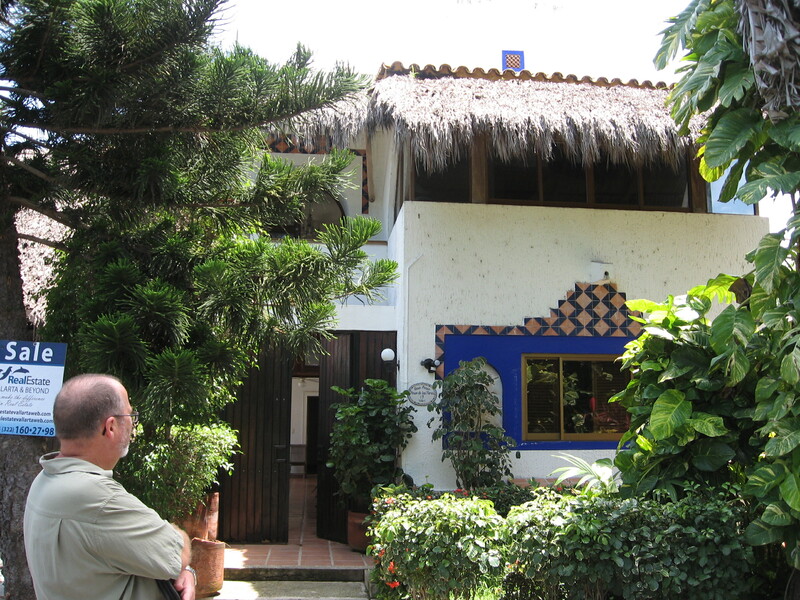 Author Kevin WoodPosted on June 7, 2011 Categories Starting new lifeTags California, Jalisco, La Cruz de Huanacaxtle, Mexico, Nuevo Vallarta, PuertoVallarta, Sayulita, StatesLeave a comment on House hunting, frustration in any language!